Getting people attached to your brand is not something that is done overnight. Often, it takes online businesses months and even years to sufficiently motivate customer retention and loyalty. That is why many businesses focus on acquiring new customers to increase their sales. 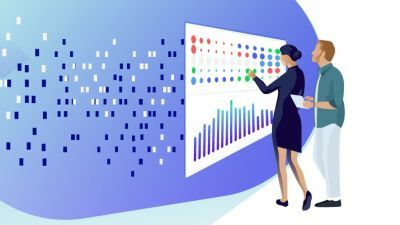 In fact, according to the Adobe Digital Index report, individual resellers spend up to 80 percent of their marketing budgets on acquisition. However, doing so may not be the most effective area to focus your efforts because, as the aforementioned Adobe report informed, 41 percent of revenues of U.S.-based online businesses come from returning and repeat customers (who, by the way, represent only 8 percent of visitors). Clearly, returning and repeat customers are more monetarily valuable than new ones. But what about the most critical performance metric – revenue per visit (RPV)? According to the results of the analysis performed by Adobe, returning customers had three times higher PRV than new shoppers. The same trend was observed in both U.S. and European e-commerce markets. 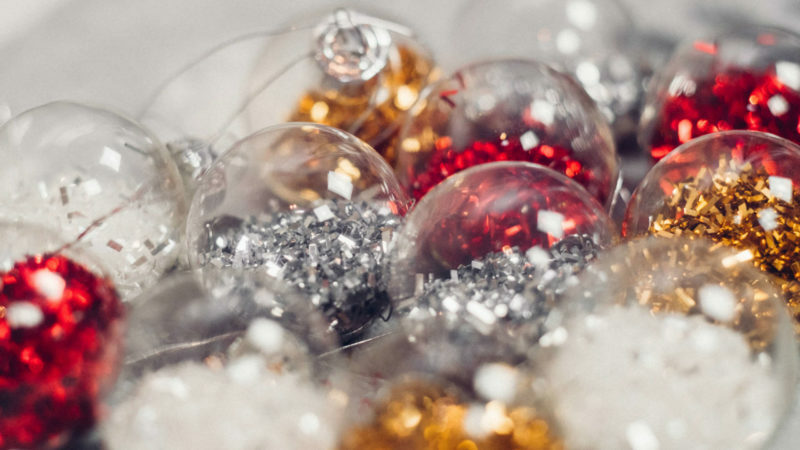 With all this evidence of the paramount importance of returning and repeat customers, it’s easy to see why increasing your customer retention rate is a must for your business. Here are some of the most effective strategies to achieve this goal. 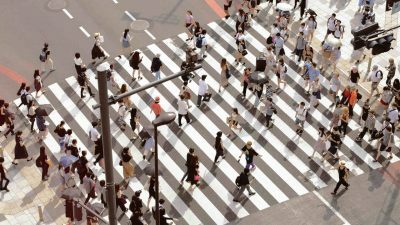 The first step in an effective customer retention strategy is to understand and measure why customers are leaving in the first place. 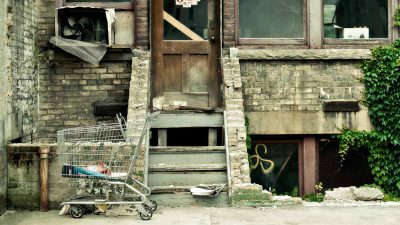 If you don’t understand what’s the main problem(s) is, then you can’t solve it. Since the vast majority of customers leave a company without complaining (or saying anything at all), let’s see what customer surveys came up with. For example, a survey described in this SuperOffice article provided the following most common reasons why customers leave a business. 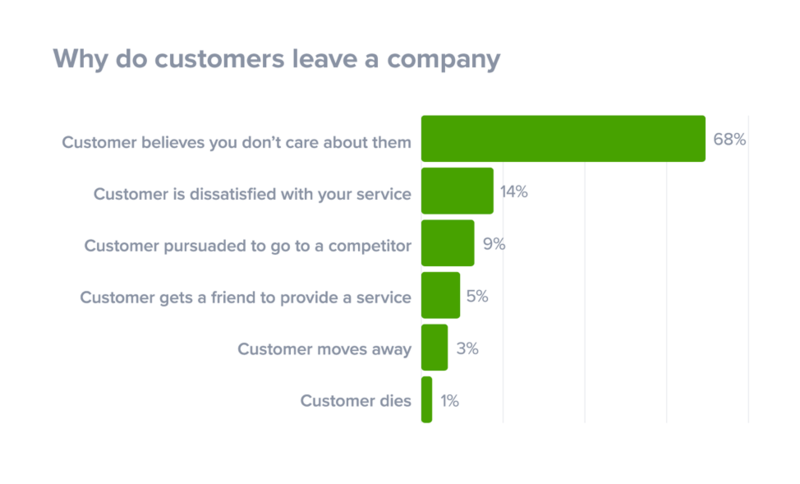 As you can see, the most impacting reasons include dissatisfaction with your service and a lack of belief that a business cares about its customers. Read below to know how to resolve these issues. However, don’t push your customers into creating an account because it could be inconvenient for them. Filling out a lot of mandatory fields may feel like doing an assignment, and since there’s no assignment help to employ, the customers can abandon the form. A better way to get customers to create accounts is to provide them as an option when making a purchase. The second option would be the guest checkout (see tip #3). Pro Tip: when your customers complete the purchase using guest checkout, send them a proposal to create an account. If they like the first experience with your business, they’ll be much more willing to do it. If you force customers to create accounts to make the first purchase, you’ll lose a lot of them. 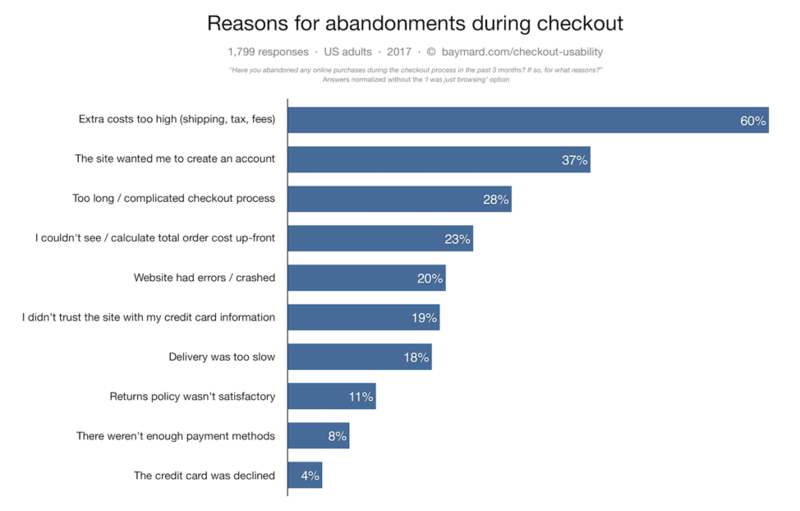 According to the survey by the Baymard Institute, a “too long/complicated checkout process” is among the top three reasons for shopping cart abandonment. That’s why 8 out 10 successful U.S. retailers including Apple, Walmart, Amazon, and Dell offer guest checkout, according to a report by eConsultancy. 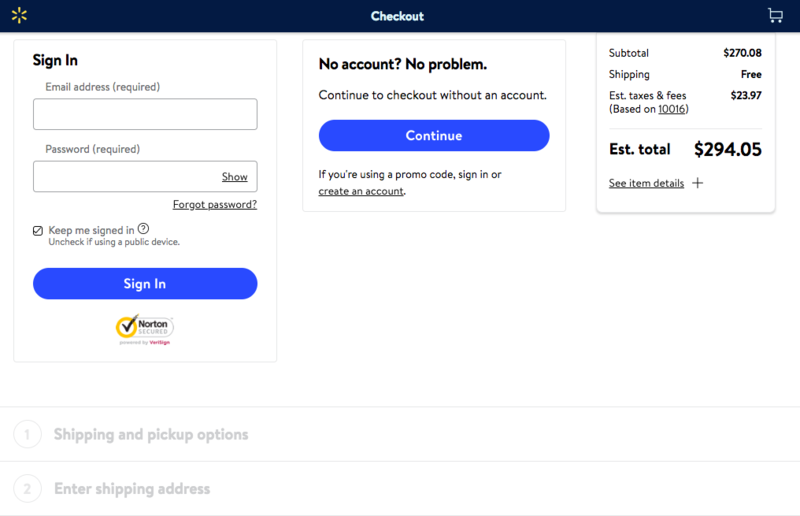 For example, here’s what Walmart’s checkout form looks like (notice the guest checkout option in the middle). A new technique for getting as much data as possible about your customer is to create progressive fields (adding a new field for each session your customer has). This way, if your customer/visitor is loyal, you will get more details about them each time they fill in a form. This is a must as well. Your customers absolutely need to be serviced as well as you can. 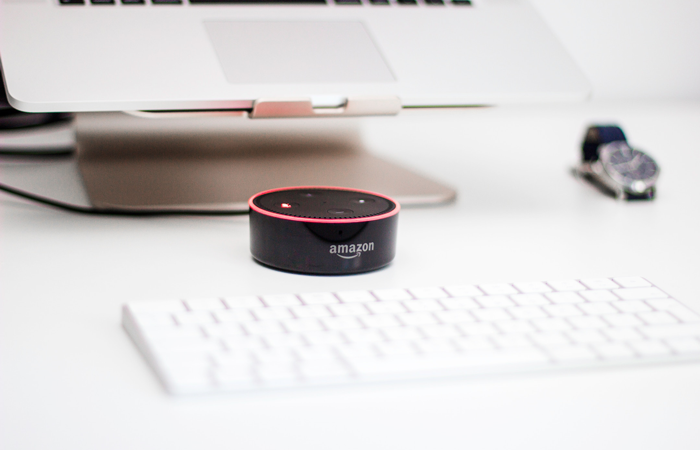 While it goes without saying that you must respond to all customer requests and orders and ensure the best possible customer experience, there are some advanced tools that you could also employ. For example, live chat is one of the most valuable tools for customers because it helps to contact the business in the matter of minutes or seconds. In fact, 51 percent of customers say an online business needs to be available 24/7, according to Inc. If a customer subscribed to your email newsletter, it’s critical to not waste this opportunity! 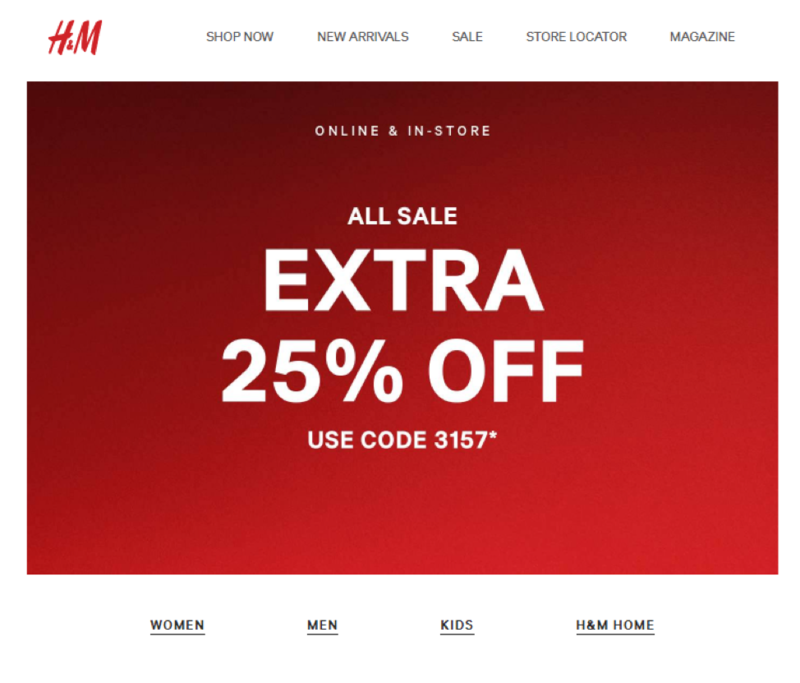 Track their browsing experience on your website and encourage them to return by sending loyalty rewards, information about sales, and advice about using products they’ve bought. Get your customer’s birthdays during registration and send them a gift. This simple gesture will go a long way toward increasing their loyalty. 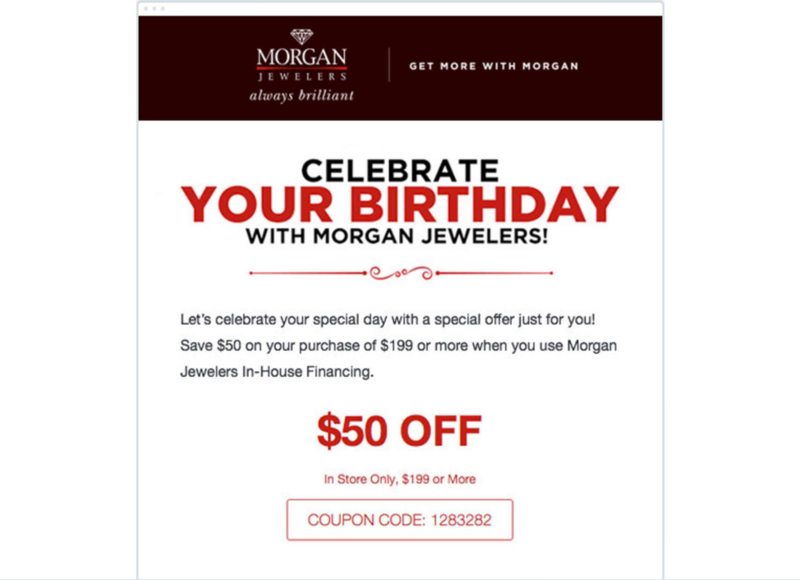 For example, here’s how Morgan Jewelers congratulates its subscribers on their birthday with an excellent birthday email. Your customer base is your greatest asset, so you must treat it appropriately. 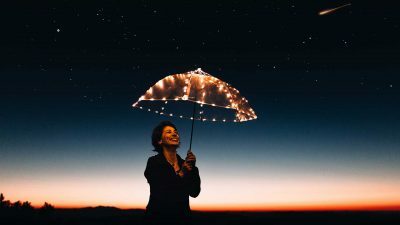 The ways described in this article should provide you with good ideas to approach customer retention and increase customer loyalty. Using these methods can help greatly with improving your relationship with customers, and thus, turn them into repeat customers.